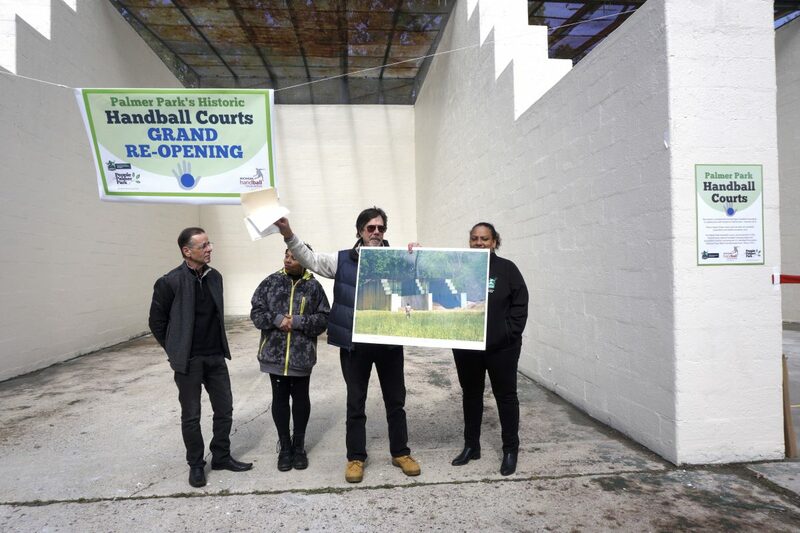 with the aim of inspiring new players, hosting junior handball clinics and programs, as well as open play for Motor City 3-Wall enthusiasts at the historic venue. 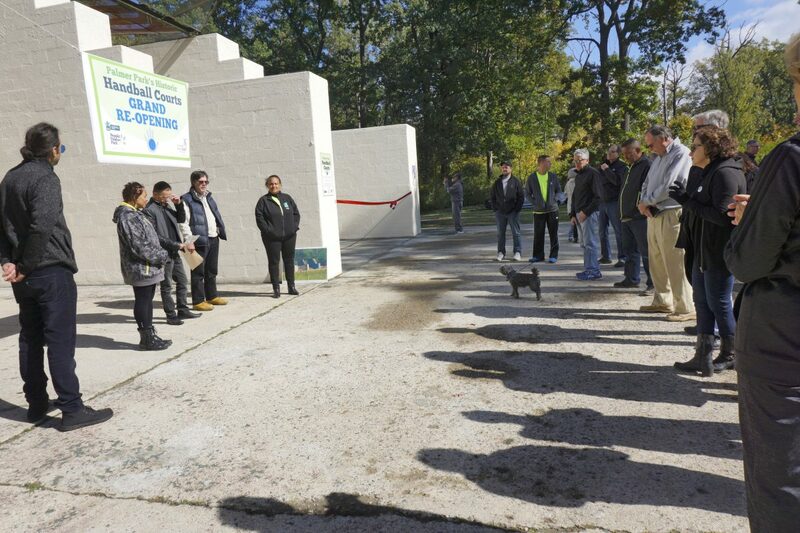 The Palmer Park Courts grand reopening featured a booth to introduce the game to new players on September 29, followed by the official Palmer Park Courts kickoff inauguration on October 13, all part of the Detroit outdoor handball rejuvenation. According to the official Palmer Park Courts press release, People for Palmer Park is a 501(c)(3) non-profit organization and official “Adopt-a-Park” Partner with the City of Detroit. PFPP is committed to the preservation, recreation, and revitalization of Palmer Park, for the good of all. Founded in 2011, the group has partnered with neighboring residents, community stakeholders, and the City of Detroit to clean and beautify the park, create free public events, and develop recreational programming — including a youth tennis academy, yoga, t’ai chi, walking and biking groups, and gardening — for all ages. The Michigan Handball Association is a non-profit organization which promotes the growth of the sport and helps one another play, master, and most importantly, enjoy the game of handball. It works to encourage men, women, and especially children to play, as well as showcasing the sport and promoting events such as leagues and tournaments. The MHA is particularly pleased to have helped fundraise for the restoration of the courts because of its history of title matches, which saw the greats of the 20th century play in Palmer Park. 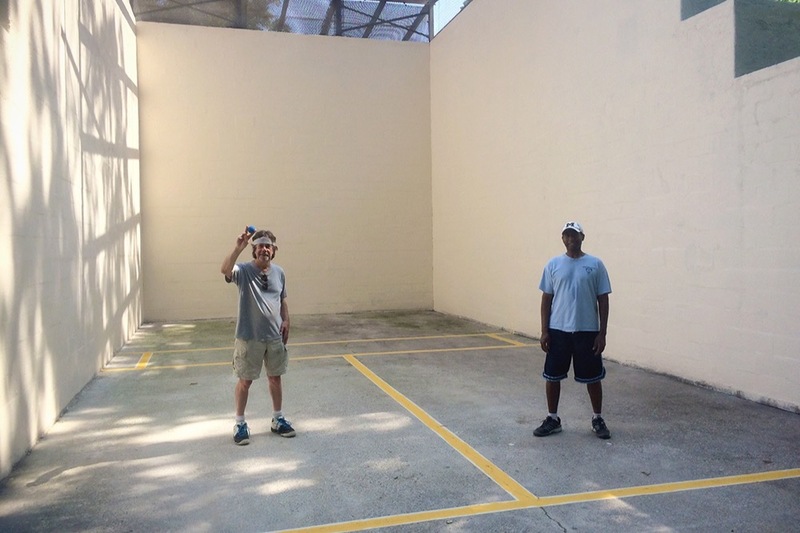 Over $12,000 was raised through an MHA campaign, which provided matching funds, to tuck-point and paint the walls, resurface a court, and paint appropriate lines. Photos courtesy of Barbara Barefield. Thank you to Detroit’s Steward Shevin and Peter Werbe for the info on the Palmer Park Courts and for passionately growing the outdoor game in the Motor City! 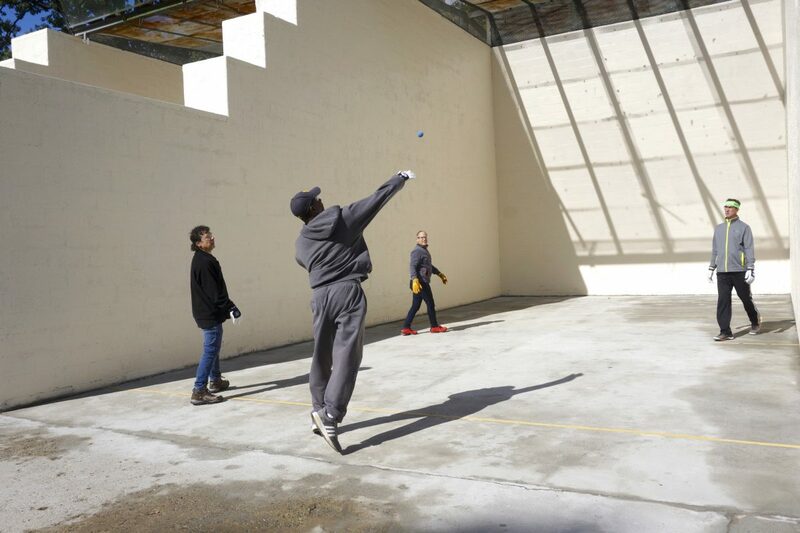 If you’re in the Detroit area, stop by Palmer Park Courts for some great games, watch the outdoor Motor City junior handball initiatives and make the Palmer Park Courts your home for outdoor handball!